Who has time to detangle for 30 minutes and deep conditon for another 45? Now you don't have too! Slip Slide and dive into your tangles with ease!! Slippery Elm Bark, Okra (yes okra), and Marshmallow adhere to your strands adding a silky (not slimy or sticky) coating to the hair shaft that eases all the knots out of your hair almost instantly. 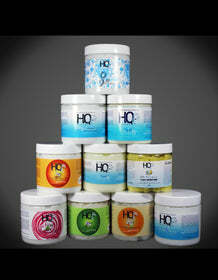 Cut detangling time in half and nourish your stands with the rich nutrients and vitamins all in one easy step. You'll be amazed at how soft, silky and shiny your hair is after just one use. This product is protein light and recommended for hair that is sensitive to protein. 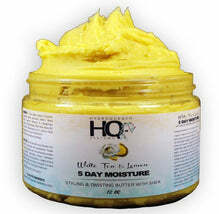 A superior detangling and deep moisturizing hair treatment. This treatment isn't just for naturals and curly haired individuals. It's also a great silky conditioner for straight and relaxed hair as well.